In 1999, Donald Trump bought Ronald Reagan's watch for $7000 at the Tourneau and Antiquorum Famous Faces watch auction for charity. 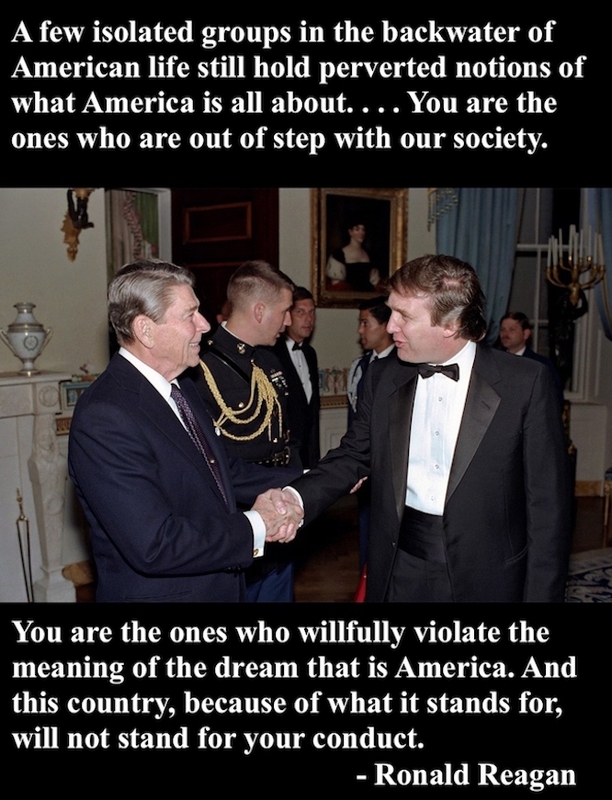 Trump, as he does, professed extreme adoration for the political figure, when beneficial. Trump claimed the adoration was mutual. The Reagan Library archives say otherwise and imply that Trump was not particularly adept at taking the hint. Nancy was sent a written invitation from Donald to visit Mar-a-Lago, designed to be the "Southern White House". "I am familiar with Mar-a-Lago,"
but removed the sentence from the final letter. "He has a large ego and would be responsive to your call." Donald’s grandnephew was critically ill, having seizures and later developed cerebral palsy. After Fred Sr. died, Trump canceled his sister-in-law and her family's health insurance which was covered by the Trump organization. 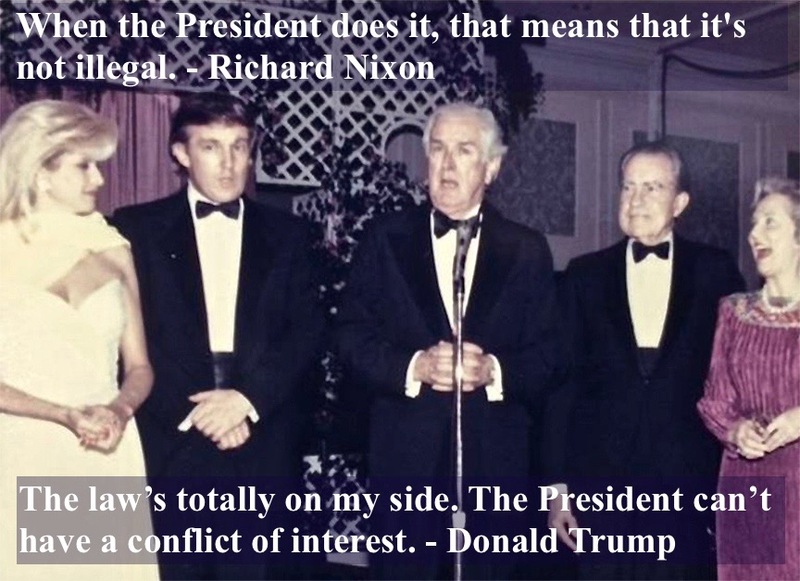 Trump invited the Regans to several events including an award dinner where "Advanced word is that Mr. Trump will have some stimulatingly interesting comments to make during his talk at the dinner." Apparently, the invitations were declined. 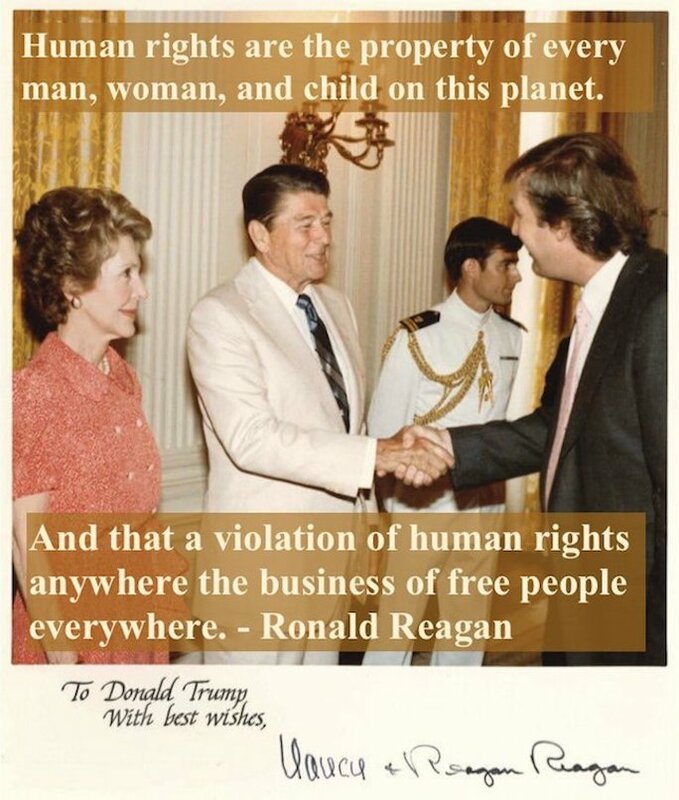 After Trump visited Russia in the 80's, he offered to become Reagan’s nuclear arms control negotiator, believing he would obtain the best deals. 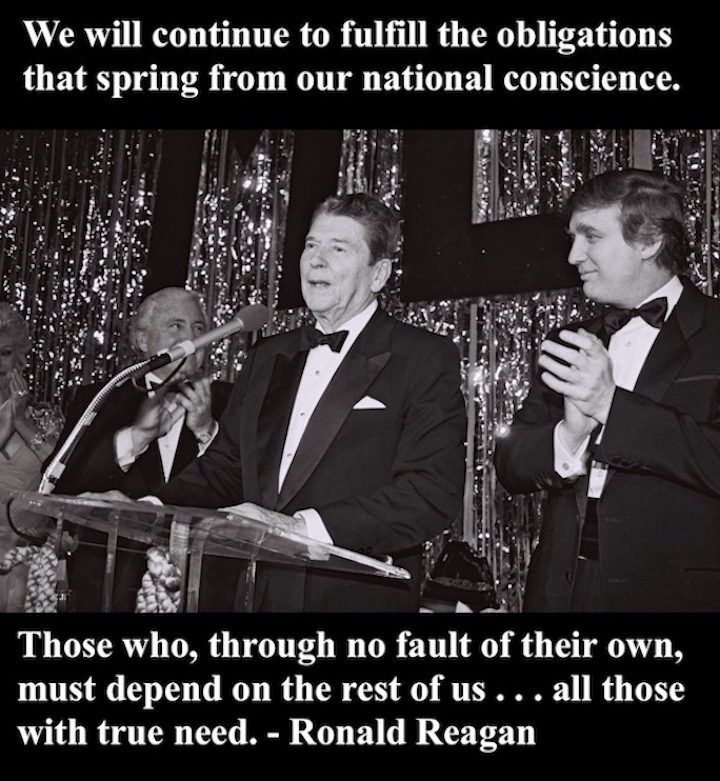 Trump's veneration for the Reagans proved transitory when a few years later he criticizing Ronald to generate publicity. 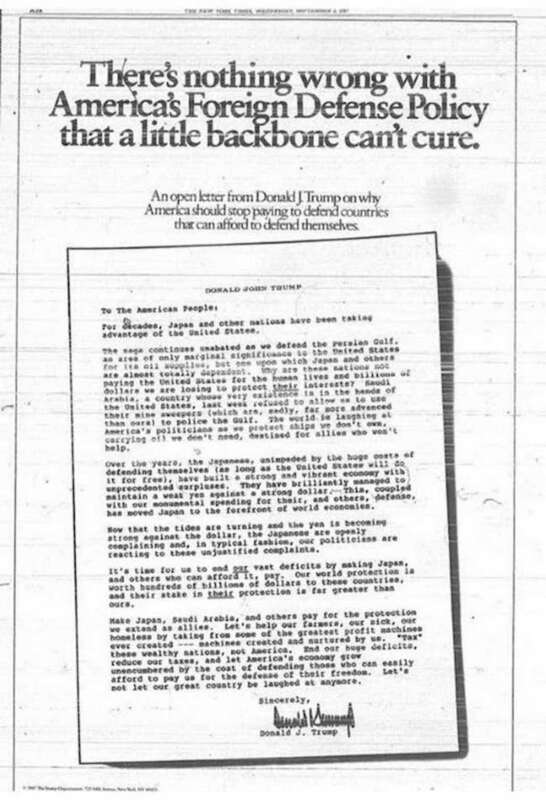 In 1987, The Art of the Deal was released and Roger Stone advised Trump to generate publicity. foreign policy for not being nearly tough-guy enough. 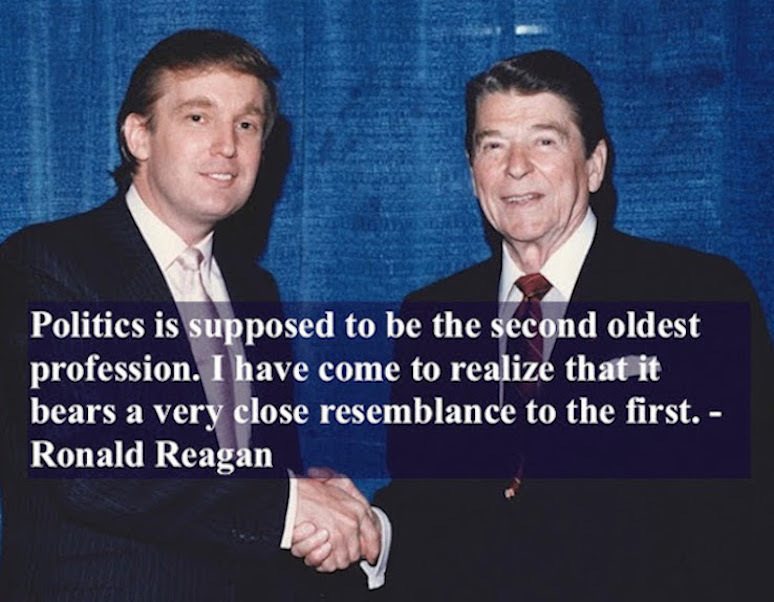 However, he returned to Reagan branding when he assimilated Regan's 1980 campaign slogan "Let's Make America Great Again". Then, in a truly Trumpian act, he announced that he had copyrighted (he actually meant "trademarked") the slogan he had stolen. Ronald Reagan / George H. W. Bush were 3,761 votes shy, in Minnesota, of winning every state in the 1984 Presidential Election. 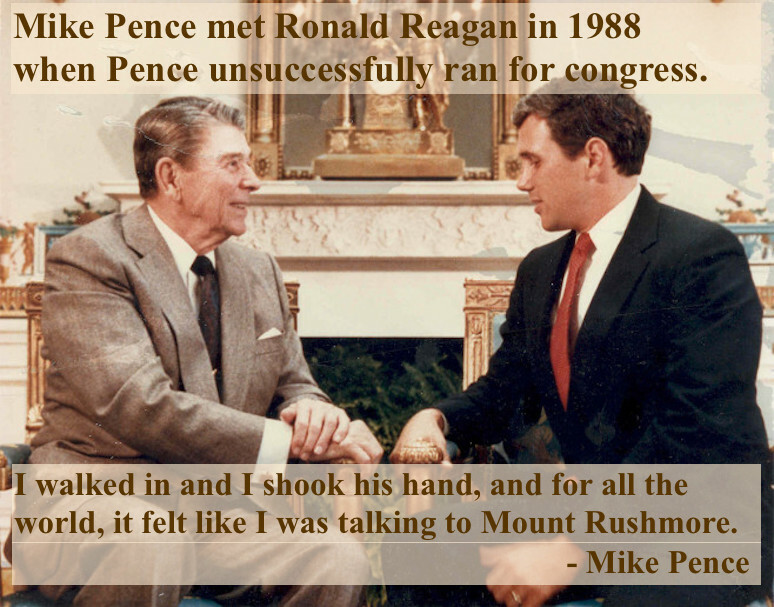 Donald Trump / Mike Pence were not. A comparison of landslide Presidential elections. 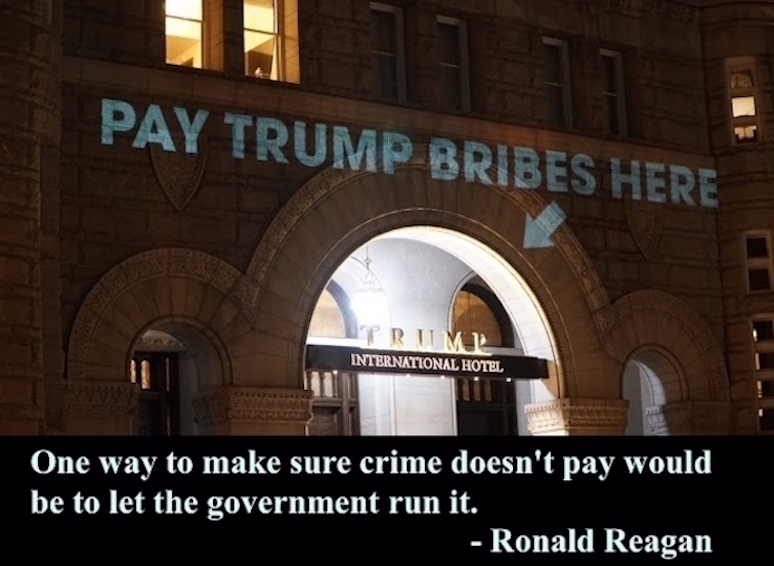 "Pay Trump bribes here" projected by the artist Robin Bell on May 16, 2017. Trump International Hotel, Washington, D.C.
"It is a magnet for unsophisticated foreign governments and companies to offer tribute." Diplomats from Bahrain, Kuwait, and Azerbaijan have all booked large parties at the "no-longer-the-president's-property". Lobbyists for Saudi Arabia paid $270,000 to the Trump International Hotel while lobbying against legislation that would allow victims of terrorist attacks to sue foreign governments. 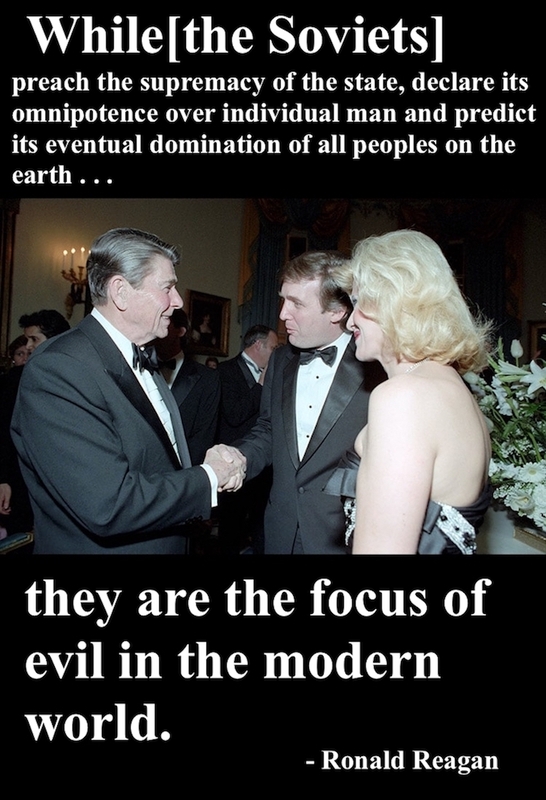 All three of Reagan’s living children have criticized Trump and the comparison.